The Huffington Post has found itself a new editor-in-chief to replace the website's namesake and founder. Lydia Polgreen, a veteran editor at the New York Times, has been tapped to fill the top editorial role at HuffPost, the site announced Tuesday. Polgreen, 41, will succeed Arianna Huffington, the digital media pioneer who founded the site in 2005. Huffington stepped down as the site's editor-in-chief in August to focus on her new wellness and lifestyle venture, Thrive Global. In an interview with her new employer, Polgreen cited the incoming Trump administration as a factor in her decision. "I feel like we're living in a moment right now where media has to fundamentally rethink its position vis-a-vis power," she said. "I think that the election of Donald Trump and the basic difficulty that the media had in anticipating it tells us something really profound about the echo chamber in which we live, the ways in which journalism has failed to reach beyond its own inner limits." Polgreen has been at the Times for 15 years. 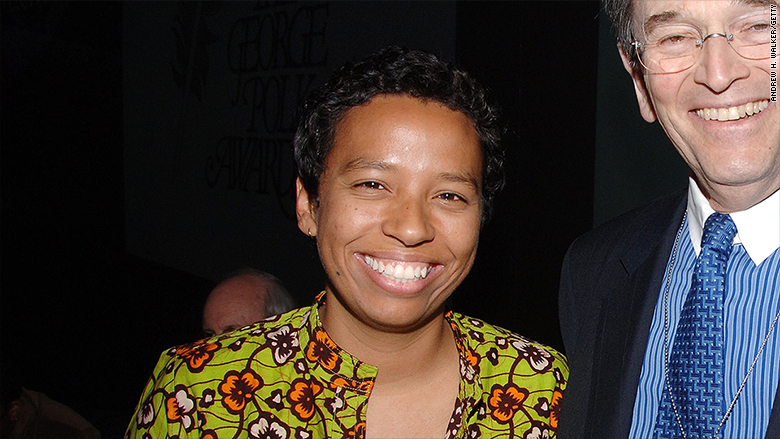 She is currently serving as associate masthead editor and editorial director of NYT Global. She will begin at HuffPost "in a few weeks," according to a spokeswoman for the site. Huffington's departure in August left the website without an editor-in-chief for the final stretch run of the campaign. CNNMoney reported on the search for Huffington's replacement in October, when a pair of internal candidates -- HuffPost Washington bureau chief Ryan Grim and editorial director for lifestyle Kate Palmer -- were said to be among the top contenders for the job. HuffPost CEO Jared Grusd said at the time that both internal and outside candidates were being considered, and that there was no timetable for a decision. Grusd described Polgreen as "somebody who is mission-driven, somebody who believes in values and very specifically, the deep authentic values of journalism and the role of journalism in today's marketplace."